The developer community is always eager to break barriers and make it easier for you to do almost whatever you want with your device, provided you have a lil' know-how and the patience to read a lot of documentation and follow steps to the letter... or maybe the juvenile carelessness to try and hope it'll work from the first go. And the first step to doing things your way on your phone is by installing a custom recovery, with TWRP being the most famous now — well, it is indeed superbly maintained and its developers are always on top of new devices. Exhibit A: TWRP is now available for the very new Galaxy Note7. 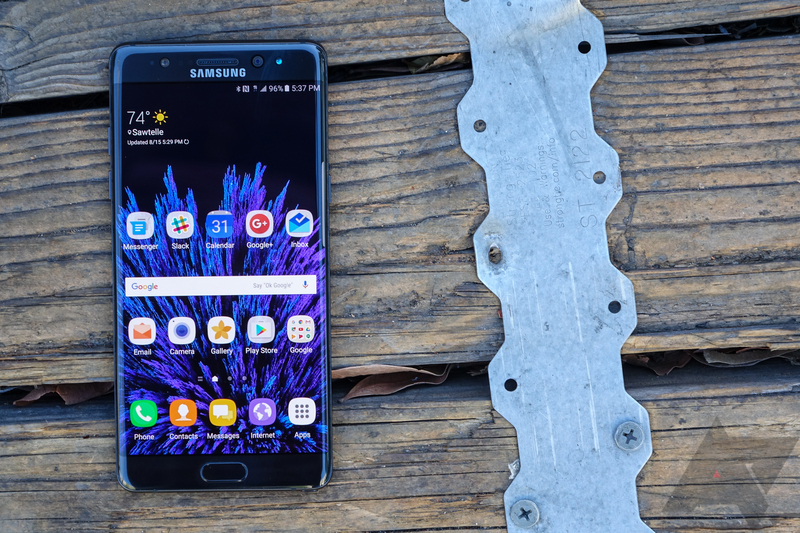 The TWRP page for the Note7 details how to install the recovery with different root or non-root methods, and has links and explanations about the process. There are other devices on TWRP's new releases too, including two variants of the Galaxy J7, the Tab A 10.1, and the Xiaomi Mi Max Pro. Here are the links to all of the respective TWRP pages. Go on if you know what you're doing.